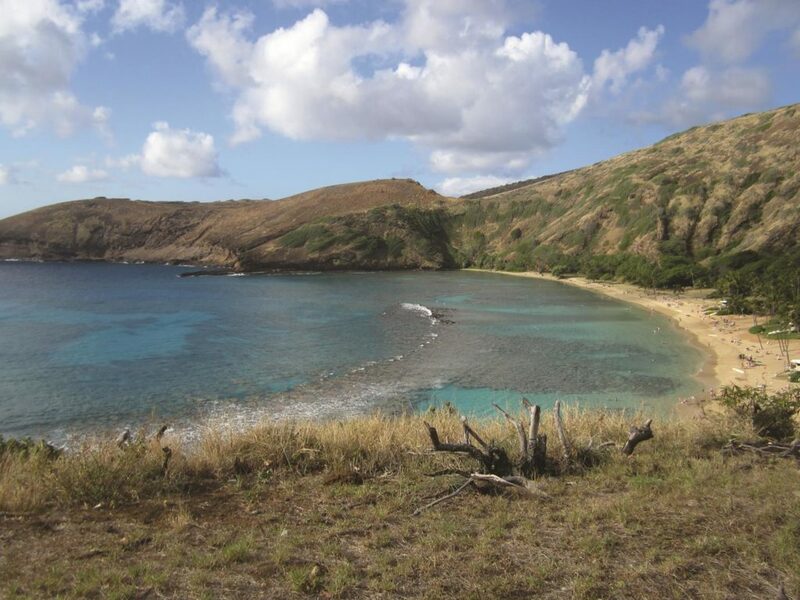 Daddy, William and I headed to Hanauma Bay early to do some snorkeling (daddy was going to work on his tan). We got there around 8:30 and the parking lot was already packed. Lucky for us, I had taken my disabled parking placard, so we go a spot pretty close to the entrance. We opted to pay for the tram to take us down (and back up) the very steep 1/4 mile trail to the beach. I couldn’t wait to get in the water and try out my new GoPro camera! 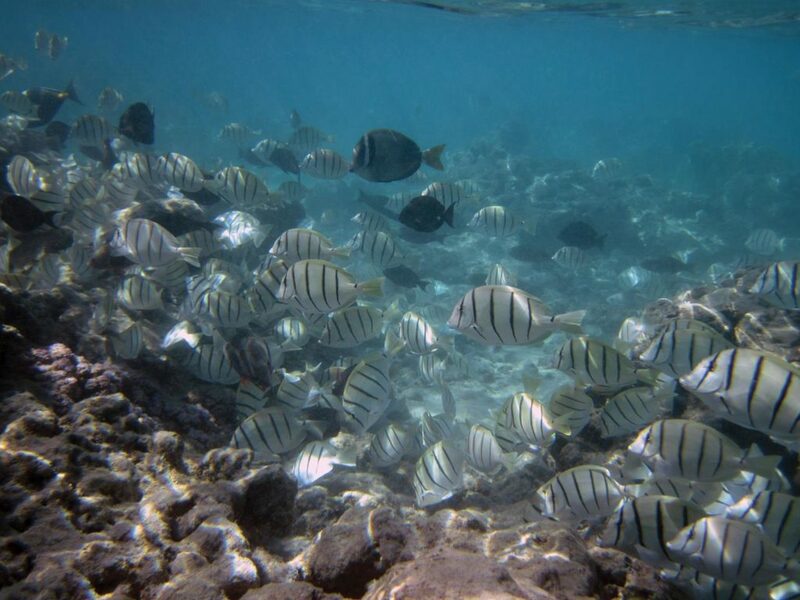 I couldn’t believe all the fish I saw in the shallow reef…so exciting and fun! We stayed until around lunch time, then headed along the windward side of the island, showing William sites we saw the day before. We stopped for lunch at Ono’s Shrimp and Steak Shack. We hung out at the apartment before heading to Marcus’ for dinner…Tiffany made chicken & rice.